Making a clinical headway in removing blocks in the coronary arteries (which mostly requires bypass surgery), a new angioplasty method pioneered by the Japanese can help you literally by-pass the surgery. In other words, there is no surgery required under this complex angioplasty method pioneered by the Japanese. Only recently, a live workshop was conducted to bring home the message. The workshop was attended by city doctors, where the procedure was conducted on six patients at Kauvery Hospital in Chennai. 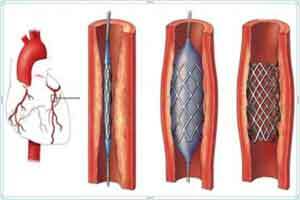 This procedure was observed by more than 100 interventional cardiologists from the state of Tamil Nadu. Dr Domodaran, senior interventional cardiologist at Kauvery Hospital, is implied to have said the special wires, catheters and balloons, available exclusively in Japan, can be used to perform angioplasty on a patient with chronic total occlusion, or 100% blocked artery. As reported by TOI, in the procedure, the wire penetrates the block, the balloon catheter is pushed over the guide wire and into the blockage. When the balloon is inflated, it opens the block. One or more stents are then inserted to keep the artery open. “The challenge in this procedure is penetrating the block. It requires specialised skill,” Dr Rao said. The procedure is not new to India and had been performed on patients for almost a decade, doctors said. However, the procedure has been fine-tuned over the years and through IJCTO, the technique is being shared to others doctors.